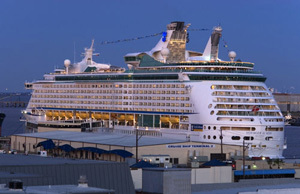 The Galveston, Texas cruise port is home to both Royal Caribbean and Carnival Cruise Lines. 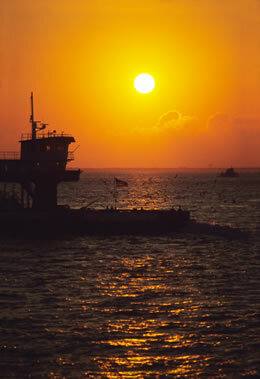 Both lines offer year-round cruise options from Galveston. Royal Caribbean cruise ships offer a range of 6 to 9-night Caribbean cruise vacations. For travelers in need of a shorter vacation, Carnival Cruise Line provides anywhere from 4 to 10-night Caribbean cruise options. 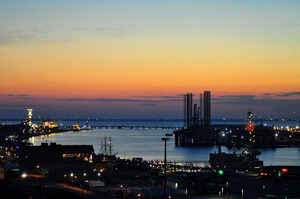 The Port of Galveston is located on the upper Texas coast at the mouth of beautiful Galveston Bay, just 30 minutes steaming time from the open sea. The two closest airports to the Port of Galveston are Houston Hobby International Airport (HOU) and George Bush Intercontinental (IAH). The nearest airport to Port of Galveston is Houston Hobby International Airport .The distance between them is 42 miles and the trip takes about 30 minutes. A taxi will cost approximately $85 a carload and the shared shuttle about $45 per person. An alternative airport is George Bush Intercontinental, located on the north side of Houston, but it’s about 70 miles from the port and the ride can take about 1 ½ hours. Taking a taxi will cost approximately $135 a carload and the shared shuttle $55. If you’re driving to the port the parking lots available to passengers are located 1/2 mile from the cruise ship Terminal. The parking lots are safe and secure. Gates will be locked upon vessel departure and no entry will be available on non-cruise days. Lots are to be monitored by Port police every two hours. Drop off passengers and luggage at the cruise terminal before heading to the parking lot. Porters will assist you with your baggage and Police Officers will direct the driver to the appropriate parking lot for that day. There are shuttles running continuously to take passengers from the lot to the terminal for check-in. Cash, Travelers Checks, Visa, and Master Card are accepted at the parking lot. The rate for a seven-day cruise is $70 for an uncovered lot and $80 for the covered lot. All cruise passengers are guaranteed a place to park and no reservation is necessary. Cash, traveler’s checks and major credit cards are accepted at the Port of Galveston official parking lots. 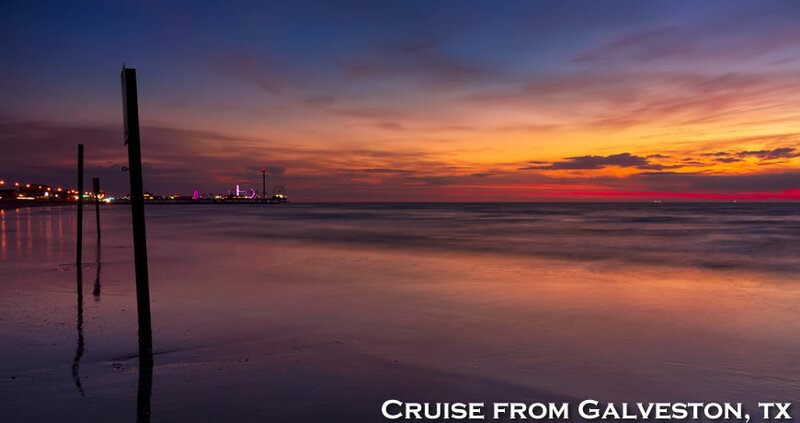 Galveston is an island that is 32 miles long on the upper coast of Texas on the Gulf of Mexico and one of Texas’ most popular tourist destinations. There are miles and miles of beaches, great lodging, wonderful seafood restaurants, and incredible shopping to enjoy in a semi-tropical climate. The many family friendly attractions in the area make it a perfect add on to a cruise that departs from Galveston. Ocean Star Offshore Drilling Rig & Museum: Visitors enjoy experiencing the offshore industry first-hand on an actual retired jack-up drilling rig. The museum features three floors of models and interactive displays illustrating the exciting story of offshore oil and gas from seismic technology and exploration and production to pipelining and marine transportation. Schlitterbahn Water Park: (in German it means “slippery road”) This water park is consistently rated tops by the Travel Channel due to the fact that it offers an extensive variety of activities and rides. There are also many different age appropriate rides and pools so that even young children can enjoy themselves with no safety concerns. Johnson Space Center: Located in nearby Houston, the center offers unparalleled exhibits, attractions, special presentations and hands-on activities tell the story of NASA’s manned space flight program. It’s the only place in the world where visitors can see astronauts train for missions, touch a real moon rock, land a shuttle, and take a behind-the-scenes tour of NASA. Galveston Railroad Museum: If you’re a railroad buff you’ll certainly enjoy this museum! Stroll around the train yard and step inside historic locomotives and opulent passenger cars. On a smaller scale you can appreciate the displays of operational “O” and “HO” scale model train layouts that bring out the kid in all of us! 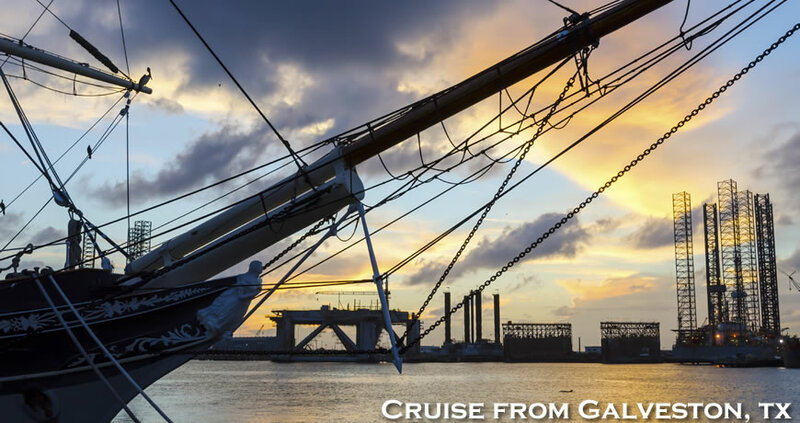 For more information on Galveston cruises, call Direct Line Cruises at 1-800-352-8088. Parking at Pier: Payment: Cash, Visa, MasterCard (guests can pre-pay for parking by going to the port website). •Exit the airport and turn right onto Eastex FRWY/US-59. •Merge onto US-59 S via the ramp- on the left. •Take I-45 south to Exit 1C, and turn left (east) onto Harborside Drive/Hwy 275. •Continue about 4.7 miles to Kempner / 22nd street (which is the street leading into the Cruise Ship Terminal entrance), and turn left. •The are adjacent to the terminal is for loading/unloading luggage curbside only.